﻿ Tartan Completion’s Thru Tubing Tools and Services to improve Operations and are simple, reliable, and provide top performance. For over 20 years, Tartan Completions has provided full-service tools and operations for thru tubing milling and fishing services. Tartan designs, engineers and manufactures its own small outside diameter (OD) mud motors and thru tubing tools, as well as supervises on-site operations. Our experience and range of skills ensure that we can react quickly to client needs and challenges. From standard mill-out of cement and equipment to extended reach mill-out of bridge plugs and fracturing systems, Tartan continues to lead the way in service, value and performance. The Anti-Rotation Device (ARD) controls and releases reactive torque generated from the use of down hole drilling motors. The Rotating Scraper cleans the casing wall inside diameter (ID) while drilling out obstructions using Tartan’s downhole motors. 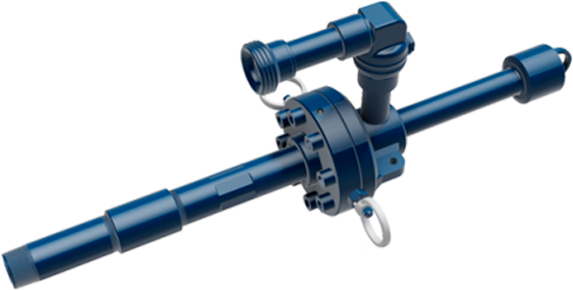 The Motor Head Assembly (MHA) is designed and constructed to provide the convenience of a single motor head tool for connecting to coiled tubing or jointed pipe. Tartan is a pioneer in the development of small diameter mud motor technology, having designed, manufactured and serviced small motors for over 20 years. The Pulse Generator (PG) is designed to vibrate the downhole motor bottom hole assembly (BHA) to decrease tubular friction (wall contact forces). The Venturi Junk Basket is designed to remove debris from the wellbore. The Dynamometers provide verification of our downhole drilling motor performance prior to running in hole.